"Despite famine, religious wars, worldwide conflict and the spread of civilization, the heads of the Roman Catholic and the Russian Orthodox churches haven't spoken since the Great Schism of 1054 shattered Christendom, so they had a lot of catching up to do when they sat down for their historic meeting Friday afternoon in Cuba." There are two things that are specifically wrong with this statement. First, in 1054 the head of the Russian Church was the Patriarch of Constantinople. It wasn't until 1448 that the Church of Russia became independent from the Ecumenical Patriarchate of Constantinople. Metropolitan Jonas, installed by the Synod of Russian bishops in 1448, was first given the title of Metropolitan of Moscow and All Russia. In 1589, Metropolitan Job of Moscow became the first Patriarch of Moscow; the autocephaly of the Church of Russia being officially acknowledged by the Mother Church of Constantinople. Now if we were to speak of the meeting in Cuba between the Pope of Rome and the head of the Church of Russia as being the first since Russia became independent from Constantinople or received autocephalous status, then it would be correct that this would be their first meeting. However, a head of the Russian Church did meet the Pope in the 15th century, although he was appointed by the Ecumenical Patriarchate, and it was precisely the result of this meeting that led to the independence of the Russian Church from Constantinople. It took place during the notorious Synod of Ferrara/Florence in 1438/39. In 1437, Roman Emperor John VIII appointed an abbot from Constantinople named Isidore Metropolitan of Kiev to draw the Church of Russia into communion with Rome so as to secure aid from the West in protecting Constantinople from the Ottoman Turks. Isidore’s arrival in Moscow was not welcomed by Grand Prince Basil II. Yet, Isidore was able to persuade Basil II to ally with the Latin Church for the sake of the Roman Empire and the Church of Constantinople. In 1437, Patriarch Joseph II of Constantinople, a friend of reunion, named Isidore Metropolitan of Moscow. He then attended the Synod of Ferrara/Florence in 1438/39 and signed the decree of union between the Church of Rome and the Orthodox Church. 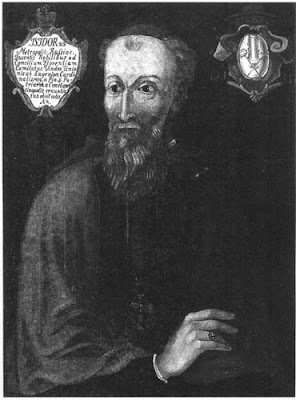 Isidore received many honors from the Latin Church. After the Ferrara/Florence Synod, Pope Eugene IV made him a cardinal-presbyter and a papal legate for the provinces of Lithuania, Livonia, Russia, and Galicia. His appointment as cardinal is one of the few times that a person not of the Latin rite was so appointed. Isidore returned to Moscow in 1441 and proclaimed the decrees of Florence, but he met with no support from the Russians. He was imprisoned by the Grand Duke, but after a time was allowed to escape, and went back to Italy. The chief see was thus left vacant; but the Russians could not ask the Patriarch for a new Metropolitan, because until 1453 the official Church at Constantinople continued to accept the Florentine Union. Reluctant to take action on their own, the Russians delayed for several years. Eventually in 1448 a Synod of Russian bishops proceeded to elect a Metropolitan without further reference to Constantinople. After 1453, when the Florentine Union was abandoned at Constantinople, communion between the Patriarchate and Russia was restored, but Russia continued to appoint its own chief hierarch. Henceforward the Russian Church was self-governing, but its autocephaly was not ratified by the rest of the Church until 1589. Two years after Isidore's imprisonment, in September 1443, Isidore escaped his imprisonment and fled first to Tver, then to Lithuania, and then finally to Rome. Graciously received in Rome, Pope Nicholas V sent him as a legate to Constantinople in 1452 to negotiate again a reunion. He was in Constantinople when the Ottoman Turks broke the defenses of the city on May 29, 1453. He escaped capture by dressing a dead body in his cardinal’s robes. While the Turks were occupied cutting off the head of the dead body, he was shipped off to Asia Minor, as a slave, with a group of insignificant prisoners. Escaping captivity, Isidore returned to Rome where he was made Bishop of Sabina. Later, Pope Pius II gave him successively two titles: as Latin Patriarch of Constantinople and Archbishop of Cyprus, neither of which was he able to make into a real jurisdiction. In October 1461, he was named the Dean of the Sacred College of Cardinals. Isidore reposed in Rome, Italy on April 27, 1463. Today he is known in the Orthodox Church as Isidore the Apostate.